The North Atlantic Treaty Organisation (NATO) is an alliance of 29 member states across North America and Europe that constitutes a system of collective defence. Its member states agree to mutual defence in response to an attack by an external party. The member states form the North Atlantic Council, a body that makes the decisions in NATO. Each action must be agreed consensually. The Model NATO simulates the North Atlantic Council. It is open to 29 high school students (each represents position of one member state) and is run in English. 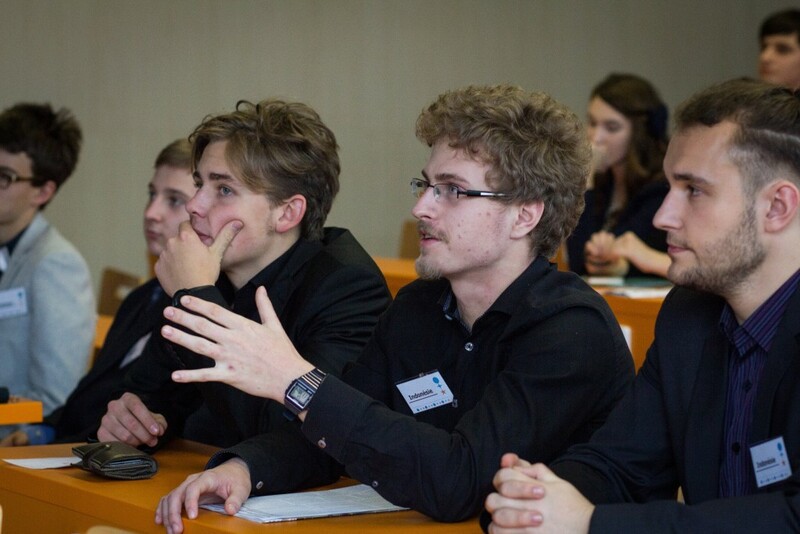 This offers a unique chance to develop argumentation, negotiation and presentation skills, but also to gain further knowledge in international relations and to deepen language abilities at the same time. This year’s Model NATO will start with the current issue of the Arctic region. It is a topic that has not been discussed in NATO often enough but is nevertheless important, being the centre of interest of northern European countries. The second one will focus on countering terrorism, one of the most pressing issues and an important priority for virtually all member states. Lastly, the participants will get to learn about the Balkans – the complicated history behind the region, the current political situation, the relationship with Russia and the extent of NATO’s involvement. The Model NATO team is looking forward to meeting its new ambassadors!